Whether you are in the beauty industry or not, you might have noticed that microblading business is growing fast. People have realized the benefits of getting this semi-permanent treatment, so the number of beauticians who have decided to include this service into their business is higher every day. As a result, the competition is getting stronger. It is becoming harder and harder to stand out and catch the attention of potential customers. There is no doubt that the internet is currently the most powerful microblading advertising tool. The first thing you need to have is an appealing website, which is important to be professionally done. Do not leave it to the amateur, hire a professional, because your website needs to be perfect. Remember you are in the beauty business which is all about aesthetics, so your microblading website must reflect your work. In order to help your future clients find your website easily, you need to link it to social networks and start an aggressive microblading advertising campaign. The most important and effective social network right now is Instagram. 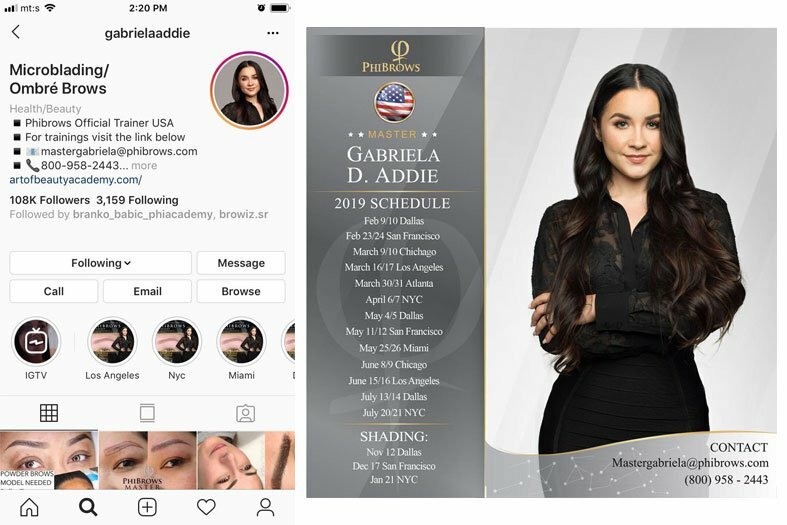 If you are in the microblading business, an Instagram page is a must! However, Instagram is not just about taking photos and posting them. You need to put some effort into making perfect pictures which will attract more followers, i.e. your potential clients. Therefore, pay attention to colors, light, quality of the picture. Put a lot of hashtags, so that people can find you easily. If you are not sure how to do that, check out similar pages and focus on those which have a lot of followers, or hire someone whose job is to manage Instagram pages. Giveaways are amazing for growing your business. Small businesses get more followers and make sure their page reaches a lot of target audience by giving some discounts and gifts. Nowadays, these are most commonly organized on social media platforms, especially Instagram. Usually, businesses set some instructions for their followers. For instance, common strategy is to call people to tag at least 3 friends under a photo, in order to become a candidate for free treatment or a gift. This way, you will gain more followers who are interested in what you do, and more people will become aware of your business. Facebook pages can also be useful. Advertisements on Facebook are targeted, so they will find their way to the clientele. Keep your Facebook page up to date. Try to reply to the followers’ questions. They might ask things about microblading or, more often, about the prices of your services. Leaving their comments without answers can show you in a bad light. On the other hand, being able to chat with your potential clients will help you become more approachable and trustworthy, making your business more appealing to them. There is another way of reaching future clientele, which is profitable but can be a little bit expensive. Bloggers, or so-called influencers, are people on social networks (mostly Instagram) with a huge number of followers. They have impeccable style and pictures and people tend to buy products they recommend. They are something like internet celebrities but more approachable to ordinary people. They usually get free products in exchange for a recommendation, or, if they are very influential, they charge for their recommendation. The more followers they have, the more expensive they are. What you can do here is offer a microblading treatment for free in exchange for a recommendation, or be prepared to pay some money if you want your business to reach a huge audience. TV and magazine advertising belongs to the past and it was one-sided, which means that customers could not leave comments and recommend a service. 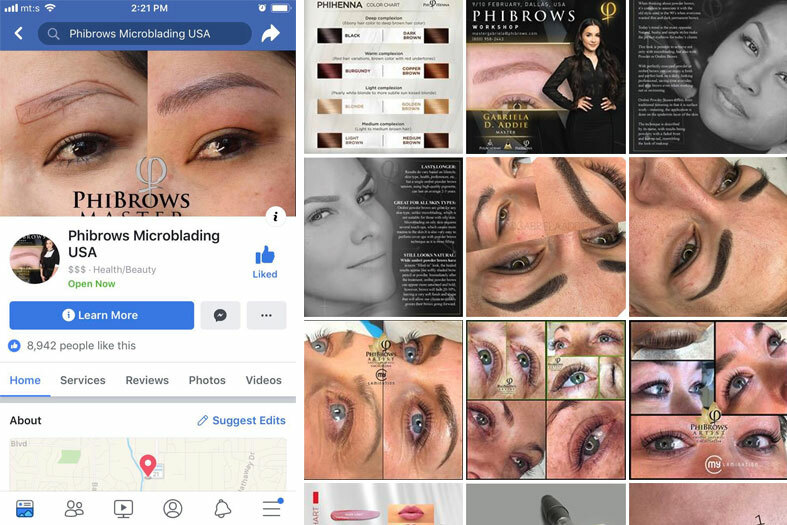 On the internet, customers are an important part of microblading advertising since they can leave positive comments, recommend and praise your business. However, this feature can be a medal with two sides. Customers can also leave negative comments which might affect your business. Try to reply to both positive and negative comments. Thank those who praise your work and be polite to those who weren’t so satisfied. Ask them what the problem was and try to solve it. Of course, if you want to be recommended by your clients, they need to be satisfied with your service. Therefore, you need to be excellent at what you do. It is important to be skilled and confident. Quality is the best marketing. Don’t start microblading advertising before you are certain that you are ready. If you are not, work harder to improve your skills. Your first clientele should be your friends and family members. Then, when the others see how well you have done your job on them, they will rush into your salon. Also, ask them to spread the word. What you can also do is to offer a discount if someone brings a friend to your salon. Word of mouth is a little bit slow way of advertising, but you must be patient. No beginning is easy. Be prepared to invest a lot of time and energy into promoting your microblading business. If you do your best and try to be as professional as possible, the results will definitely show.